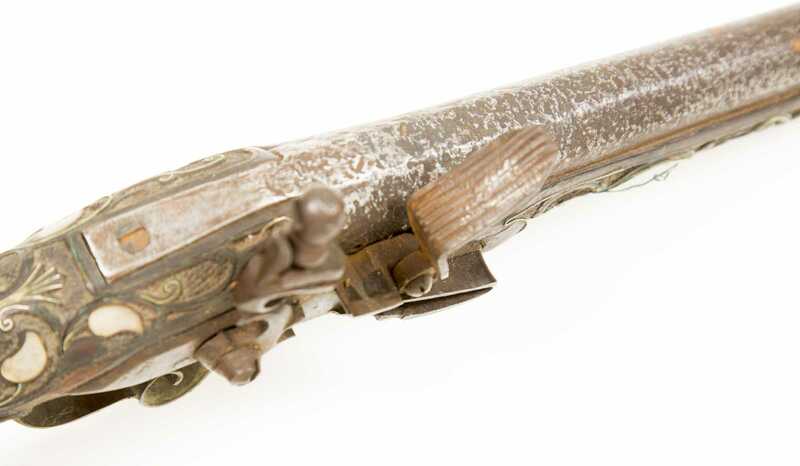 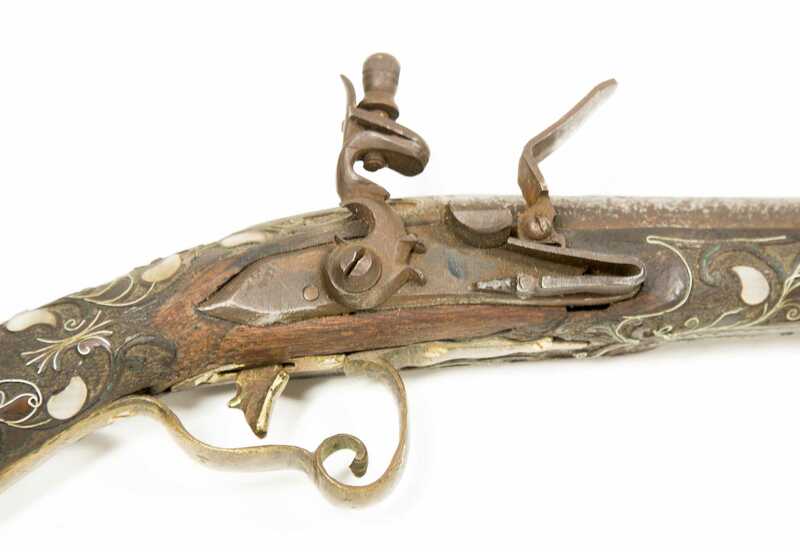 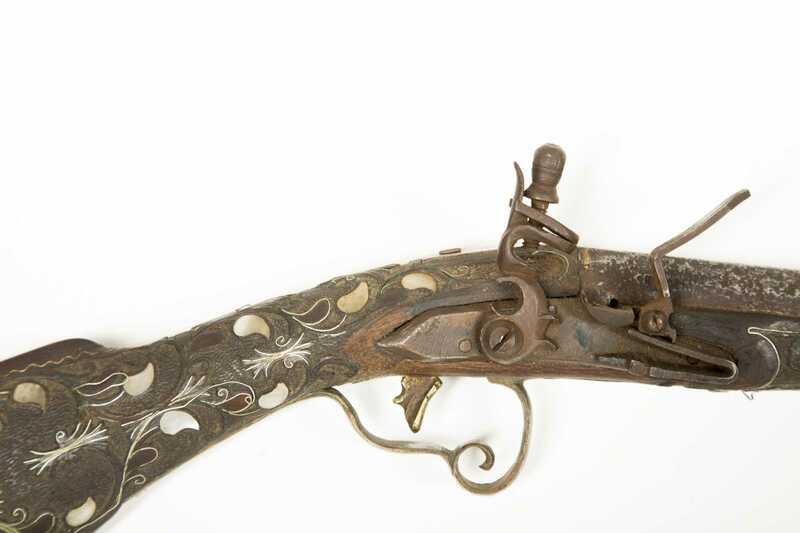 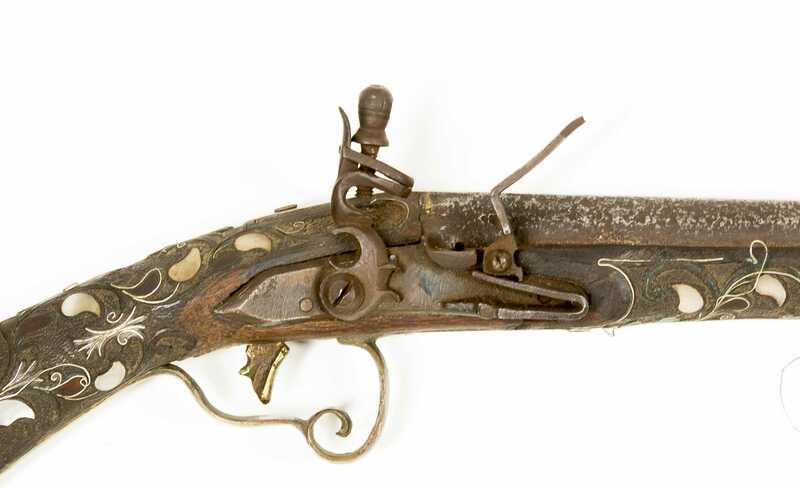 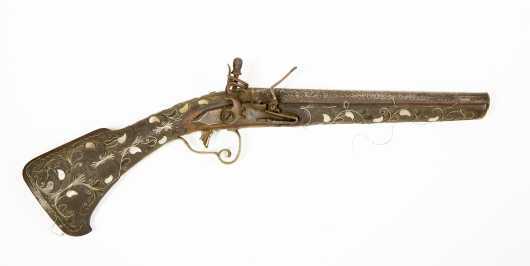 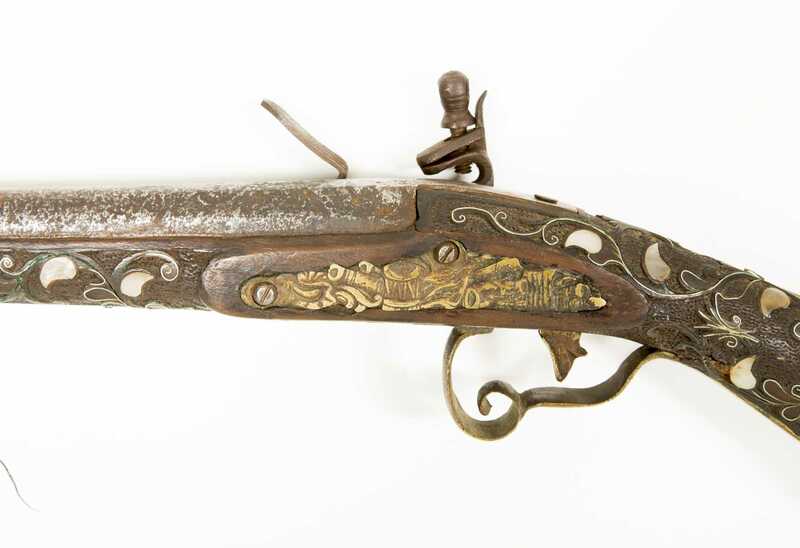 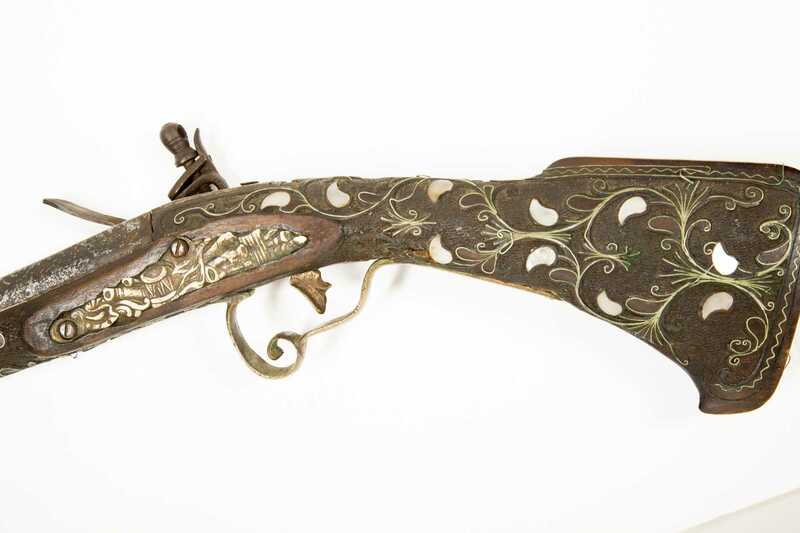 Middle Eastern Afghan Embellished Flintlock Pistol, cut down rifle 10" barrel shows heavy pitting. 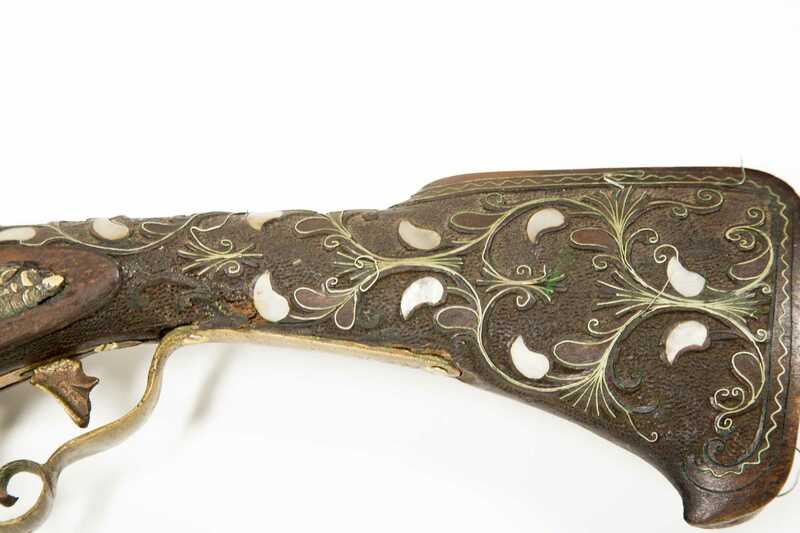 Stock is also cut down and well engraved with silver and mother of pearl inlays throughout. 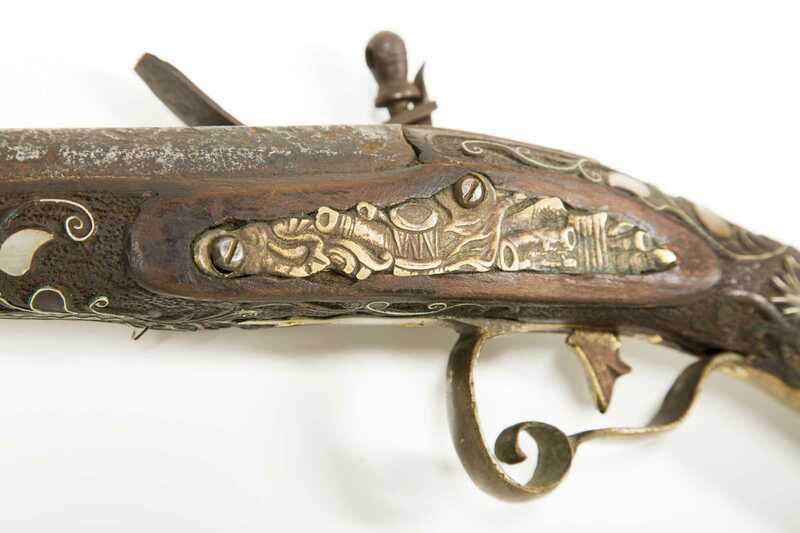 Brass trigger guard and trigger as well as an engraved lock back. 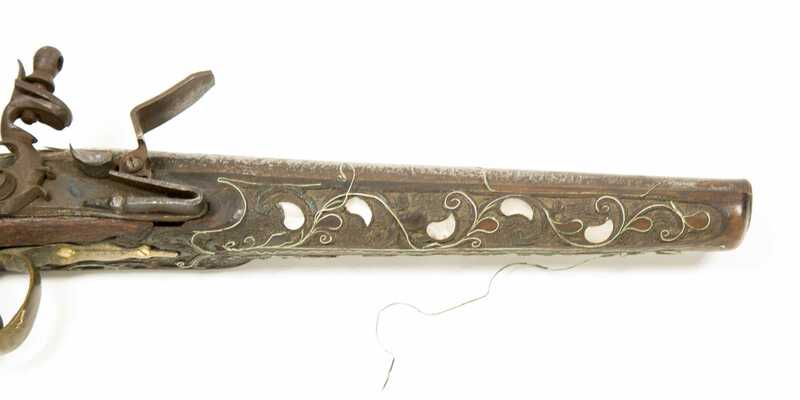 Silver inlay is loose in several spots. 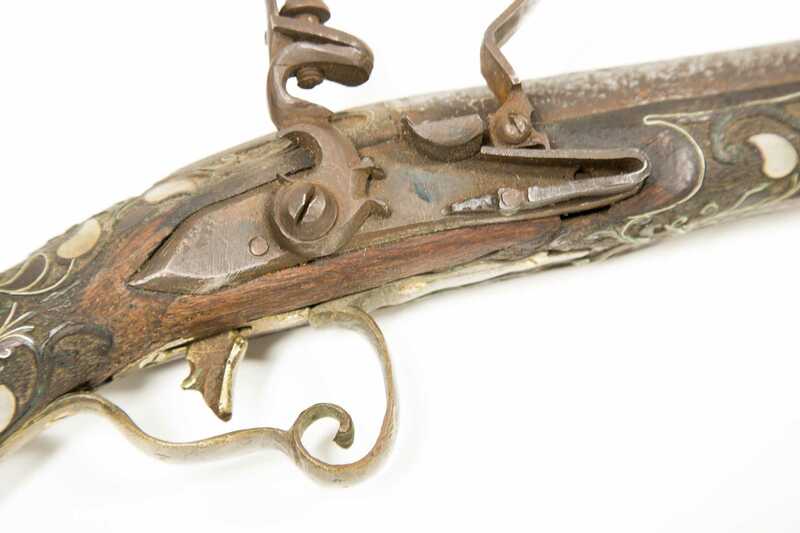 Lots of work went into this pistol and is in fair condition.